It's finally getting colder and you know what that means! Chunky sweater weather. 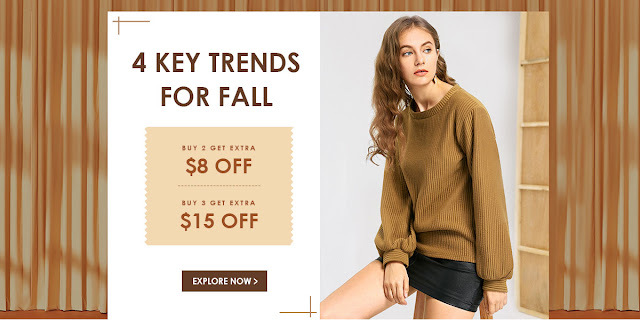 I've been browsing online and found a couple items worth mentioning from one of my favorite online shops, Zaful. Stay tuned for a haul. ;) All items mentioned will be linked for your convenience. Just click on the image or link below. Let me know which sweater is your favorite! 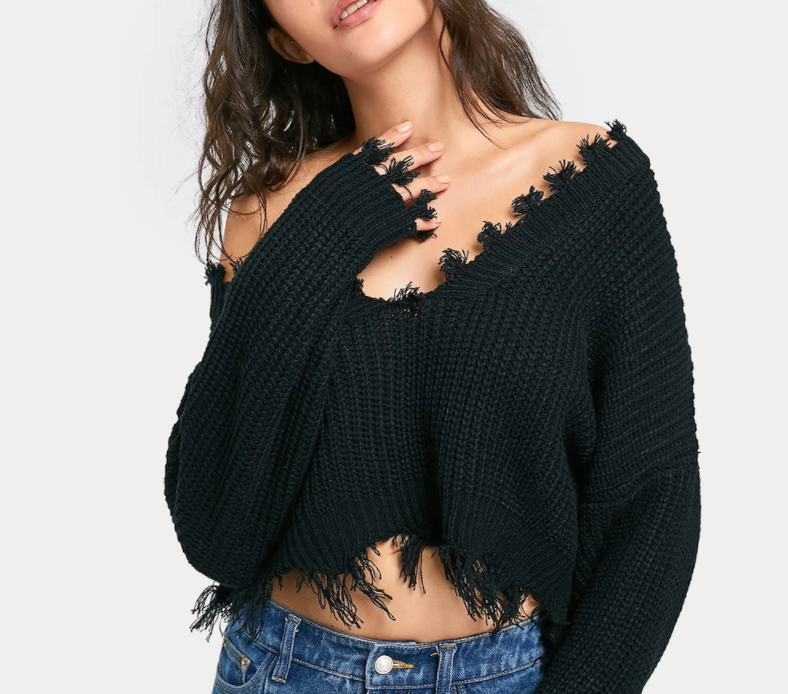 Above is distressed over-the-shoulder cropped sweater. if you know anything about me, I'm always in black high-waisted jeans. Paired with a black sweater with fringed detailing on the top and bottom, you have yourself a lazy go-to outfit! 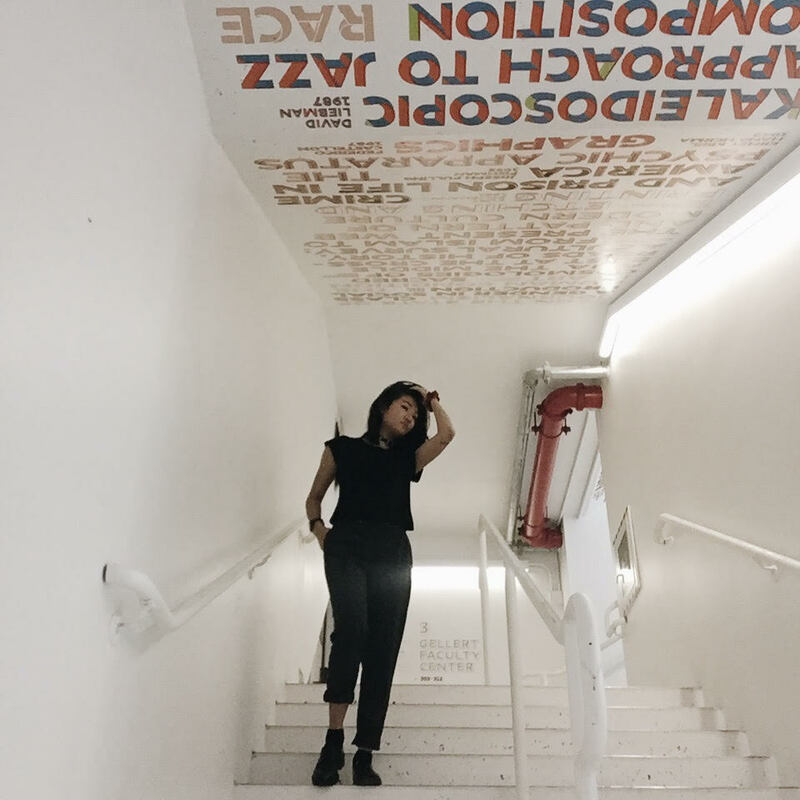 Wearing a shoulderless sweater might not be the most practical if you're actually trying to survive the cold, so here's the perfect sweater to layer. My school is always either too hot or cold, so layering is essential! This sweater (here) is the perfect dupe for the $88 Unif ymani sweater. 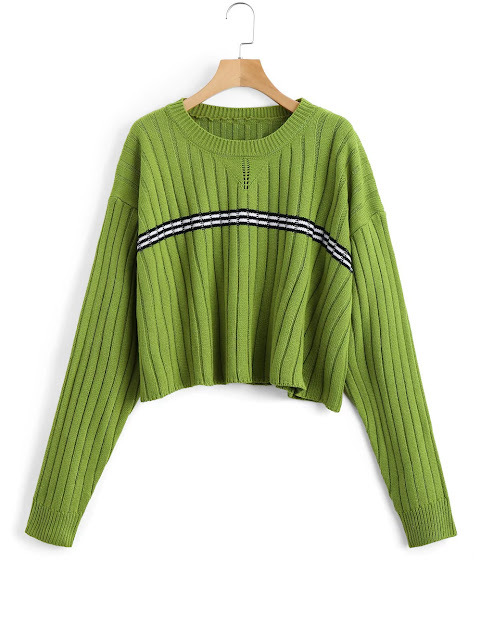 The green gives a retro vibe that is fun to play around and the ribbed material reminds me of my dad's old sweater that I still wear to this day. Need this! Before I need to wear the heaviest coat I own, it's still warm enough to just toss a cardigan on for my outerwear. 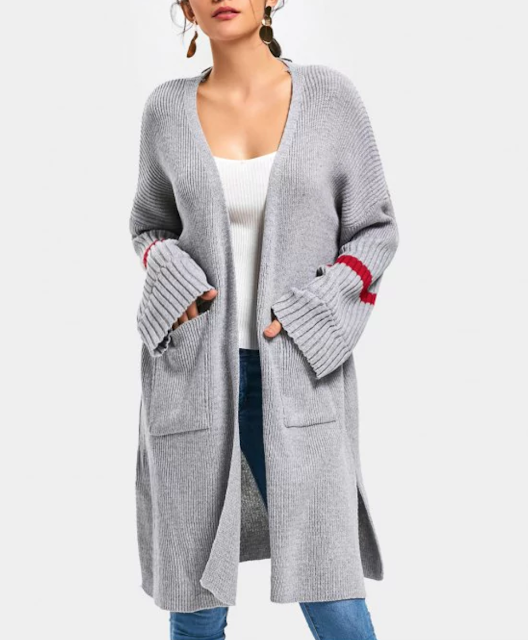 With this open front grey cardigan, you can pair it with a short pencil skirt with over-the-knee boots for some extra warmth. Depending on how cold it is, I would wear a black turtleneck layered underneath. Mustard yellow!!! This is my absolute favorite color for fall. 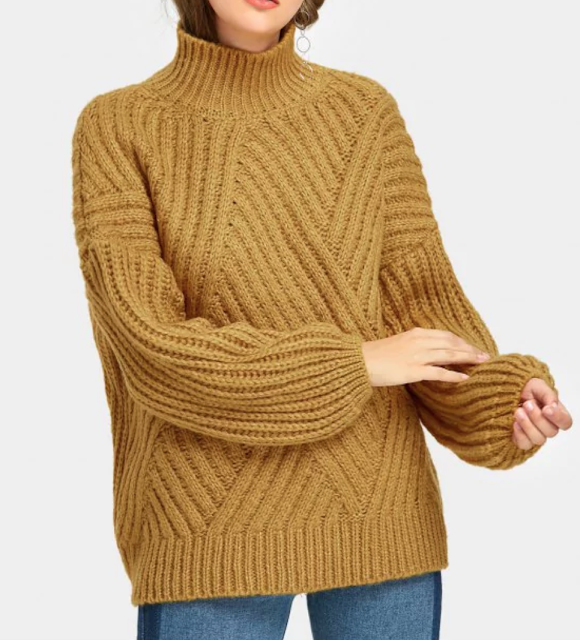 A chunky high collar sweater like this is a wardrobe staple. I see myself ordering this oversized to swear as a sweater dress matched with my over-the-knee boots, black tights, and a black or even red beret! I absolutely adore the black sweater!! I love the trimmed off frayed ends of the sweater. Such a cute detail. Great choices.That gray cardigan is awesome.